My schedule the past several weeks has been packed with far to many non-quilting tasks. Not having time to fan the flames of my sewing desire has been very frustrating. This week I FINALLY had time to sit down and nurture the passion within me. 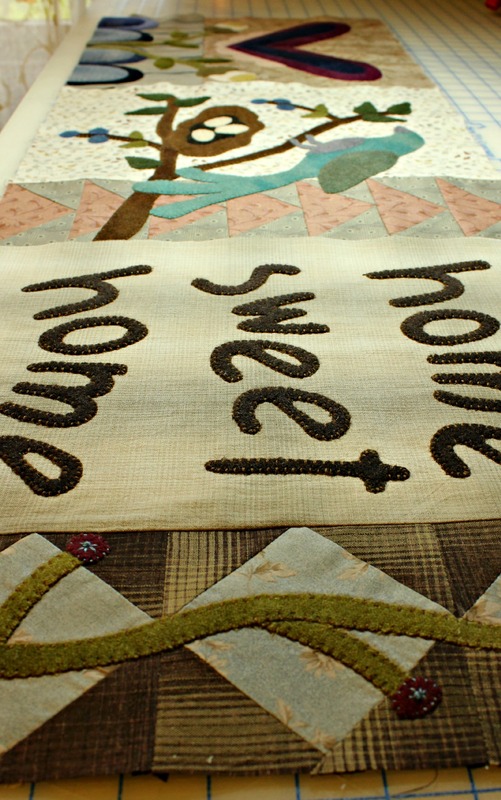 Loads of progress was made on my Heart and Home Quilt from Heart to Hand. Take a look . . .
With all but a few hand-stitching items left on row one, I decided to get started on row two. This week I traced and cut out all of the pattern pieces for blocks four, five and six. Pictured here are stacks of leaves as well as two tree trunks. As you can see there are quite a few. Between blocks four and six I cut out 78 of them. I didn’t mind doing it though. I expect by next week to have these three blocks finished as well. Let’s hope I’m successful. This quilt is such a joy to work on. Watching it unfold and blossom has been so exciting. The more sections I finish the more I crave the opportunity to continue. Well that’s my WIP update for this week. I’d show you my list of WIP projects but not much has changed so I’ll omit that for now. 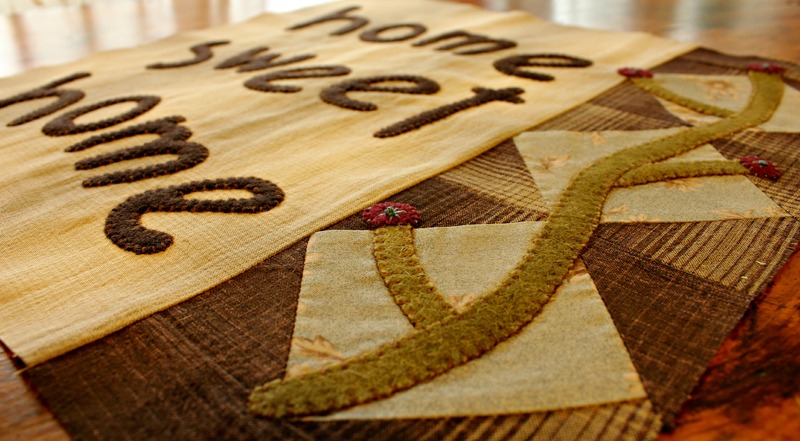 I’m linking up with Freshly Pieced. 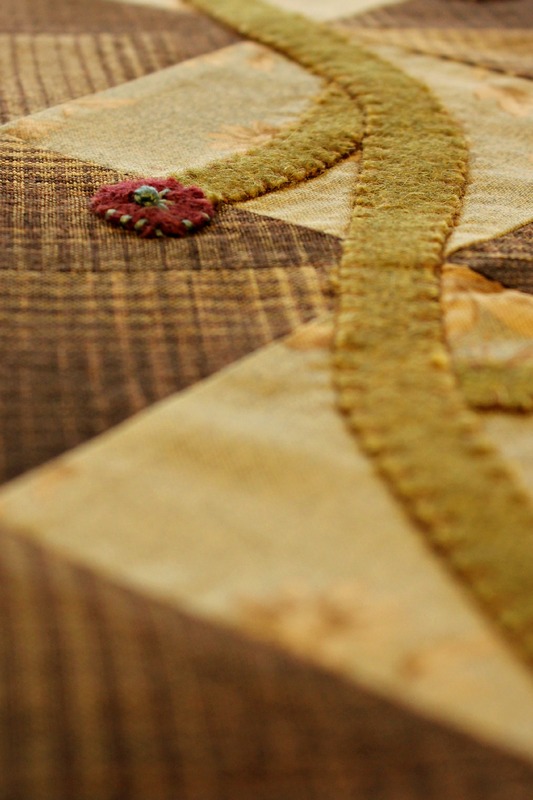 Peek in on her blog to catch up with my fellow quilters. Have a great week! wow that’s a lot of cutting but once you get all the prep work done you’re ready to go right? lol sometimes I long to be in the sewing room & others well lets just say I don’t go in there lol! your quilt is going to be amazing! Non quilting days booo! I have been swarmed with the daily mundane as well. 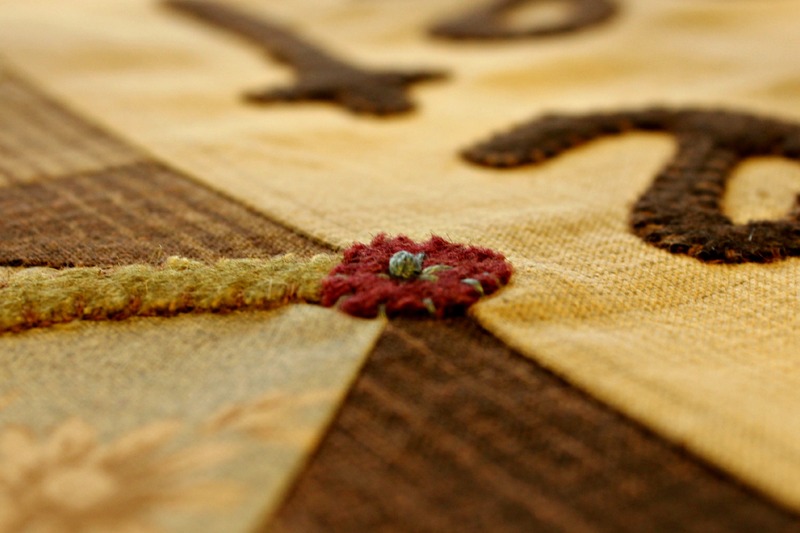 I like your wool project…you have made up nicely for loss of time! If only a little fairy would come and take care of the mundane and then I could focus on more important items, such as quilting all day! Wouldn’t that be wonderful. This is a really nice project. I had to go check out the whole quilt, and – oh, dear! Now I’m having a hard time walking away from some of those patterns/kits. . . lol!